DHA partners include Nature Valley. Three hundred and seven nationalities took part in the relay. 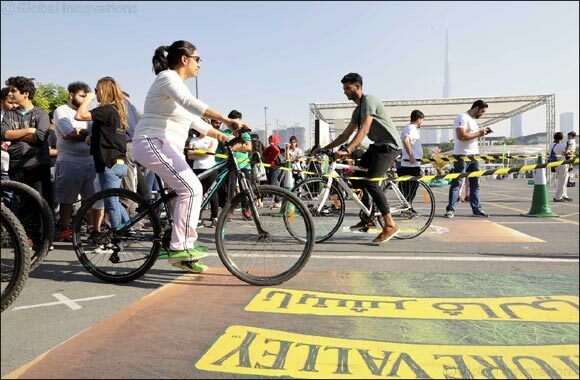 Dubai, United Arab Emirates, December 10, 2018: The Dubai Health Authority (DHA) in partnership with Nature Valley broke the existing Guinness World Record for the most participants to take part in a bicycle relay. Three hundred and seven nationalities took part in the relay, breaking the earlier Guinness World Record of 2016 when 302 participants took part in a bicycle relay in China. The participants cycled for 100 meters and the event took place last week at City Walk, Dubai.